We will keep voting open through the weekend. You can see the full bracket here or at the bottom of this page. 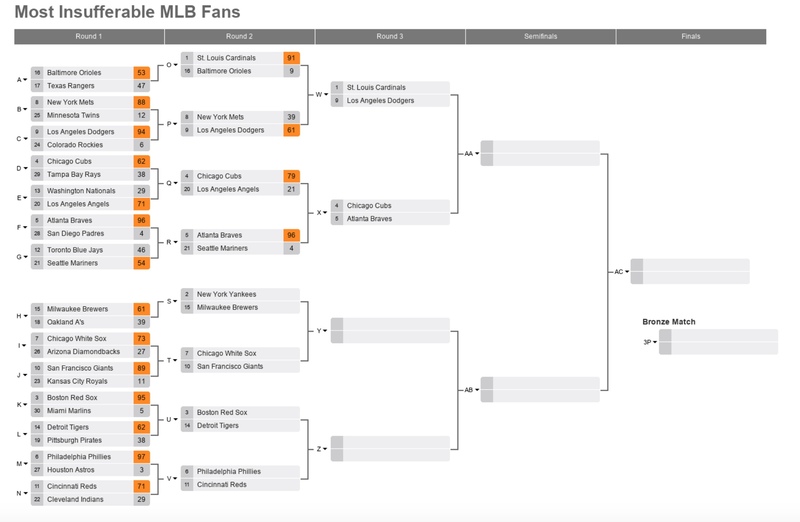 In the top half of the Sweet 16 bracket, the top-seeded Cardinals fans destroyed Orioles fans, Dodgers fans got by Mets fans surprisingly easily, Cubs fans handled Angels fans, and Braves fans tomahawk chopped Mariners fans. Don’t sleep on the Braves in this contest.